I often talk about timelessness and minimalism in my posts, but I swear I’m not always boring. Sometimes it’s fun to go all-out with a fun, trendy piece, too. The Roxbury Fringe Crossbody Bag from Hammitt is just that. Immediately upon opening, I was impressed. Let’s take a look at some of the details that make this bag great. Hammitt is a luxury accessories brand based in Los Angeles, California. Founded by Stephenie Hammitt, the company focuses on exceptional craftmanship and high-end design. Hammitt has developed a following of loyal customers, and can be found in dozens of boutiques across the United States. They also recently opened their very first flagship store located in Las Vegas, NV. Hammitt’s South American leather is some of the softest and most supple I have ever felt, to be honest. Top-notch stuff, including the soft suede lining. The cognac color is bright and classic. The Roxbury Fringe Crossbody also comes in black, pewter, and a tan color they call Shirtless. 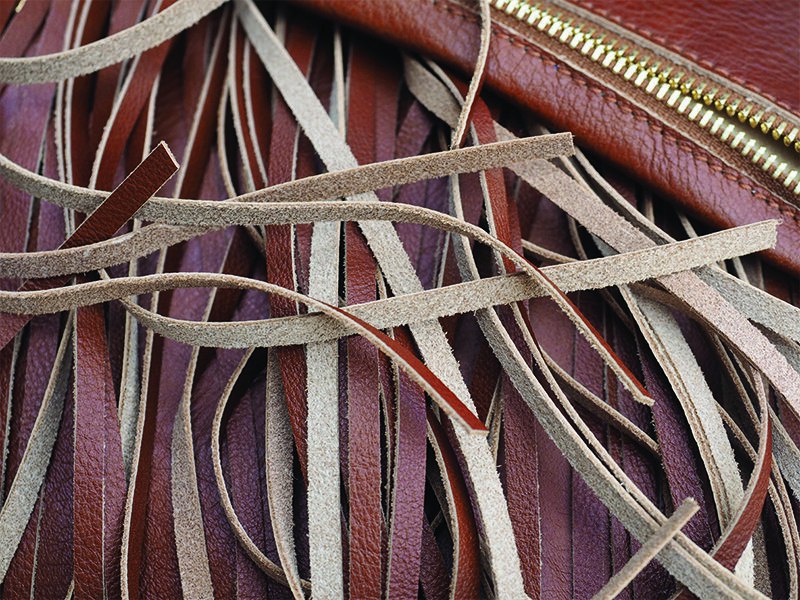 Because of the high quality of the leather, the fringe stays flat and doesn’t tangle. I was worried that the fringe would break with use, but it’s not delicate or easily breakable at all. The Roxbury Fringe is medium sized, at 9.5 ” x 10.5″ x 1″. There are three zippered pouches, none of which are very large, but can easily hold a wallet, phone, keys, and other essentials. It’s constructed a bit like an envelope, with the thin upper zippered pocket folding over the main pocket. To get to the main pocket, you flip up the top part. Surprisingly enough, this doesn’t get annoying at all because of my favorite feature: an ingenious hidden slot for your cell phone on the back of the bag. I absolutely LOVE this feature, and it’s something I wish all my purses had. The cell phone pocket is very subtle and goes just deep enough to keep your phone secure without having to fish around for it. The little details like this are what makes the Roxbury Fringe feel so nice. The hardware on this bag is also a standout feature. All the gold colored hardware is heavy, shiny, and just exudes quality. The zippers and zipper pulls are phenomenal. 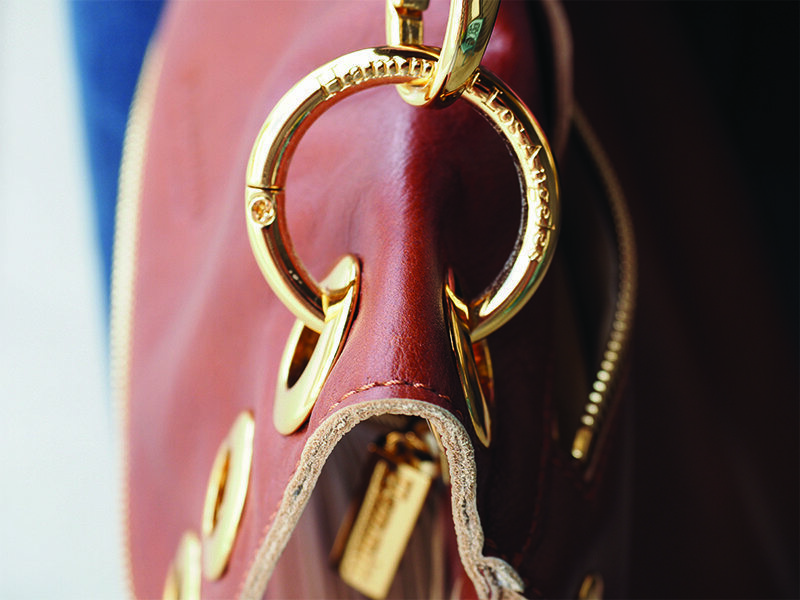 The strap is decorated with round flat studs and connects to the body of the bag with a hefty oval self-closing clasp. 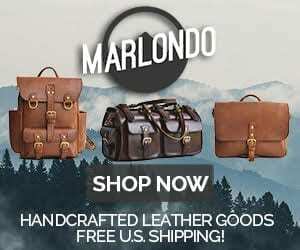 The strap is adjustable via two built-in rings that can be connected to the clasp to shorten the length of the strap, although the length is appropriate for cross-body use and I’ve never had to adjust anything. 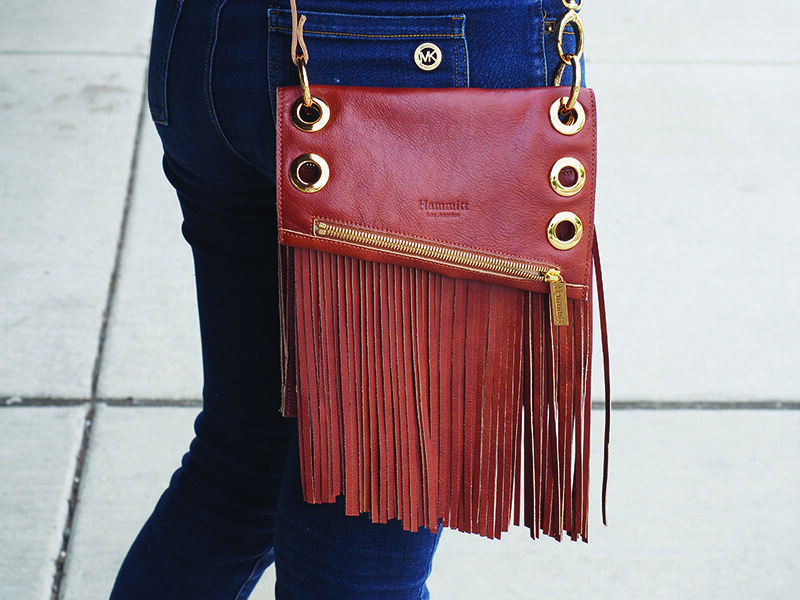 The Roxbury Fringe Crossbody manages to strike the right balance between bohemian and classy. You can immediately tell that this purse didn’t come from Forever 21, but it still has a fun, festival look. I had never owned a fringe bag before, so I wasn’t entirely sure if I would like it, but I’ve found that it goes easily with any outfit, especially in the summer. If you’re not totally into fringe, or just want to invest in a more timeless look, Hammitt makes the Roxbury without any fringe, as well as several similar styles such as the Roxbury Embossed and the Little Santa Monica. All in all, I am very impressed by the Roxbury Fringe Crossbody. This bag isn’t cheap at $585, but its exceptional construction, hardware, and beautiful leather feel extremely luxe for the price. This isn’t a bag you’ll use everyday, but if you have the money for a niche item like this, I highly recommend Hammitt. Its fun, bohemian style is trendy and of-the-moment. Coachella may be over, but there’s plenty more summer festivals that this would be perfect for.